Today I'm blogging in a new locale as a guest at Burrelles Luce's Fresh Ideas blog. Burrelle's Luce is a mega-media-monitoring company with a PR-focused blog. I won registration to a conference sponsored by Burrelles Luce over Twitter last fall and was asked to write a guest blog post for them. Well, the day has come, the blog is live and you can go visit it here. If you don't feel like clicking over, I'm posting it here as well. It's about Opes, enjoy! 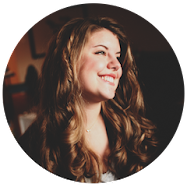 Abbey Franke is an Account Executive at Scott Circle Communications. She focuses on new media strategies and online communications and comes to public relations with a background in live television production. You can follow her on Twitter: @scottcircle LinkedIn: abbeyfranke or Facebook: Scott Circle. As Oprah tearfully announced that her upcoming 25th season would be her last, a flurry of tweets began flying before the credits even started rolling. The question on everyone’s lips (or tweets): “Who would be next?” Oprah, a towering icon of television talk, leaves behind a unique brand and some sizeable shoes to fill. As the voice that launched a thousand small businesses, authors, celebrities and lately, politicians, she has harnessed the power of her daytime audience in a way that no competitor has. Where other shows are more specialized, the Big “O” packs a punch in terms of variety, serving up everything from celebrity interviews to self-help, confessionals to contests, all with a side of fashion and fanfare. This broad base has made Oprah into a holy grail of public relations, the golden ring for communications professionals and clients to strive for. So, who is next? Where will we turn when we have a new book to promote? An expert on multiple personality disorders to pitch? Or a golf pro ensnared in a PR-tsunami with a big apology to make? Already names are being tossed around. Funny girl, Ellen DeGeneres seems to be the natural heir to Oprah’s talk queen crown. Her appeal is broad, although she only commands less than half of Oprah’s estimated seven million viewers. This fall has seen the two together on the cover of O, The Oprah Magazine and appearing on each other’s shows, leading many to believe that Ellen’s succession could be a natural one. Still, it’s hard to imagine her hi-jinks and dancing paired with a tell-all from Whitney Houston, much less Sarah Palin, both of whom appeared on Oprah this fall. Rumors also suggest a Katie Couric daytime program following the end of Couric’s contract with CBS in 2011, but Couric’s image, as a sophisticated girlfriend, does not have quite the same warm, likeability of Oprah’s mentoring presence. Other names like Tyra Banks, Whoopi Goldberg, Paula Abdul and even Sarah Palin are floating around as potential daytime divas. Morning shows like Good Morning America and the Today Show offer a similar variety to Oprah’s programming, but still cannot match her numbers. And then, of course, there are the prime time and late night outlets. Leno, Letterman, and Conan remain strongholds for celebrities while Colbert and Stewart offer politicos, authors, economists and other thought leaders. Perhaps Oprah leaves behind her a void that no one show can fill. Fans of her self-help segments may gravitate towards spin-offs Dr. Phil and Dr. Oz. Viewers interested in celebrity will stick with Ellen or Tyra. Lifestyle audiences could turn to Martha Stewart, the Oprah-launched, Rachel Ray or a rumored new program for Oprah regular, home improvement/design guru Nate Berkus. So where does this leave PR professionals? The end of Oprah could be just another step towards the increasing hyper-fragmentation of the media as niche outlets multiply on and offline. The result: continued need for greater targeting efforts, heightened listening, and connecting with audiences where they are by PR. Does this require more work than one big push for the golden Oprah standard? Probably, but the outlets for exposure expand drastically as do the opportunities for meaningful interaction. Building buzz from the bottom up is daunting and without the ultimate “stamp of approval,” individual influencers need to be discovered at every level of communications. They might look a little different than Oprah and come in the form of mommy-bloggers or local anchors, but perhaps their reach will be even more personal and their audience even more engaged. Between now and the end of Oprah’s reign supreme, there will be undoubtedly hundreds of potential candidates to take her place. Of course, there’s still one candidate that might be the best replacement for Oprah, and that’s Oprah herself. Although the full details of her next venture have yet to be released, or even developed, what’s brewing is a network that uses Oprah’s successful show as a jumping off point, promising dozens of new programs to pitch. So, as we enter into the end of an era, how will you be tailoring your PR efforts? Who will be your big get?